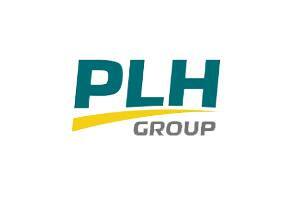 PLH Group, Inc. (PLH) was founded by Energy Capital Partners (ECP) to establish a nationwide energy-focused construction and related services business. Comprised of operating entities across North America, the PLH Group of companies delivers energy infrastructure solutions to its clients in the electric power delivery and pipeline industries. In 2009, Power Line Services (PLS) was formed after the acquisition of Sun Electric Services, Inc., Total Electrical Service & Supply Co. (Tessco) and Auger Services. Over the next year, PLS combined the power line construction and maintenance operations of Tessco and Sun Electric and continued to grow acquisitively by purchasing Air2. Sun Electric and Tessco provide electric services to the oil and gas industry in the Permian Basin. PLS provides electric transmission, distribution and substation construction services. Auger and Air2 provide specialty services for electric transmission construction and maintenance. In 2012, PLH added five acquisitions to provide pipeline construction and related specialty services for the North American market. Snelson Companies, Inc., is a national full service pipeline construction group. IPS Engineering, delivers pipeline engineering and turnkey project management. Southeast Directional Drilling, LLC is a horizontal directional drilling contractor for the midstream pipeline construction and utility industries. M&M Pipeline Services, LLC delivers specialized pre and post construction services for energy pipeline construction, maintenance and electric transmission. Energy Services South, LLC is a provider of pipeline maintenance, repair and overhaul, inspection and installation services focused on the Southeastern US market. In 2013, PLH acquired the Canadian pipeline contractor Pipeworx Ltd. Pipeworx is a provider of pipeline, compressor station and module fabrication construction and repair services in Western Canada. Mid-2013, PLH Group formed Edison Power Constructors, Inc. to deliver infrastructure services in the areas of electric transmission, substation, and distribution in the Western United States power market. Our most recent acquisition in 2014, R. B. Hinkle Construction, Inc. adds underground electrical capabilities to the PLH Group of companies. Located in Sterling, Virginia R.B. Hinkle serves the Mid-Atlantic region providing underground installation work and maintenance for some fo the largest energy delivery companies in the region. These highly compelling businesses strategically diversify PLH Group’s service offerings, geographical footprint and customer base and enable it to exceed clients’ expectations by supporting the major energy infrastructure investments anticipated in North America over the next several years. This service can be provided independently or in an integrated approach to better service customer requests and requirements.